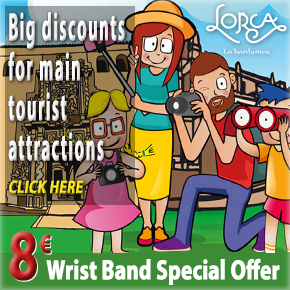 In Lorca the traditions of Semana Santa, or Easter Week, run especially deep, and perhaps this is nowhere better illustrated than in the small church known as El Calvario which stands on a rocky outcrop just outside the northern edge of the city. El Calvario, or Mount Calvary, is the last of the 14 Stations of the Cross on the Via Crucis route which is followed by penitents retracing the story of the Passion of Christ on Maundy Thursday, and which begins at the Iglesia de San Francisco: the practice of following the Via Crucis was introduced to Lorca by Franciscan monks. In theory this route lasts precisely 1,361 steps, and towards its end the simple crosses which originally marked the way were gradually replaced during the 17th and 18th centuries by chapels with their own altars. 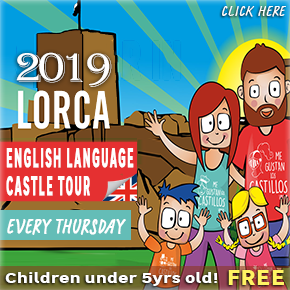 The result is a collection of small and unusual places of worship in a spectacular out-of-town location which is a popular destination with local residents all year round, due to its rural nature and the far-ranging views out over Lorca and the valley of the River Guadalentín. 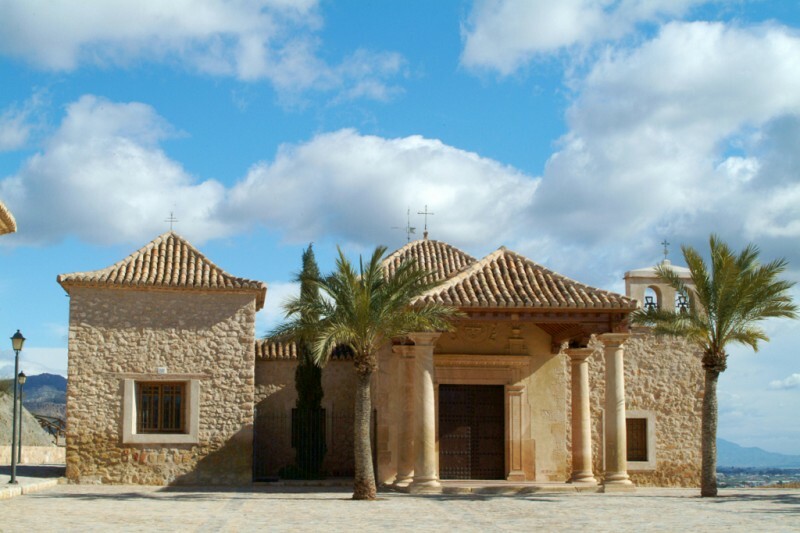 The largest of these chapels is the Ermita del Cristo de la Misericordia, but, perhaps inevitably, this is better known as the Ermita del Calvario, and the collection of 14 buildings stand as a monument not only to the path of Christ to Golgotha but also to the devout faith of the people of Lorca over the centuries. 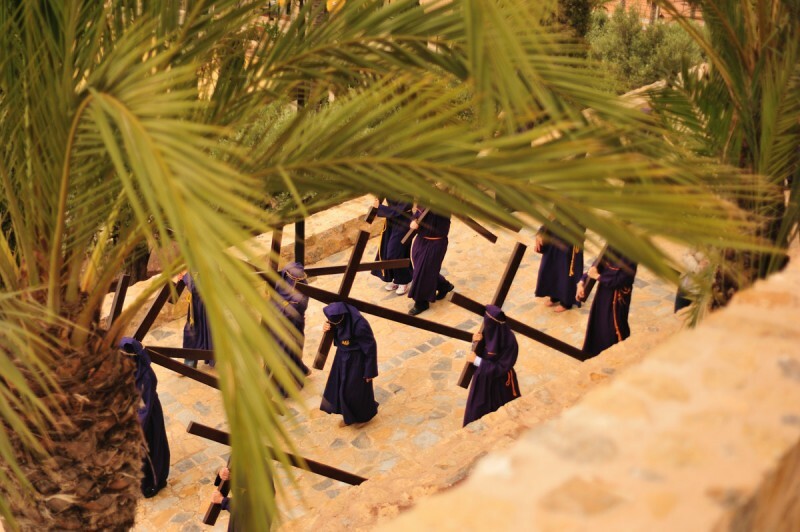 The story of how El Calvario came into being begins in the late 16th century, shortly after the Franciscans arrived in Lorca, when Father Vargas first initiated the practice of following a Vía Crucis route. Exactly where Father Vargas drew his inspiration from is not certain, but it is probable that he had seen similar customs in Italy, while at the same time an important work dealing with the description of Jerusalem in biblical times had been published in 1590. 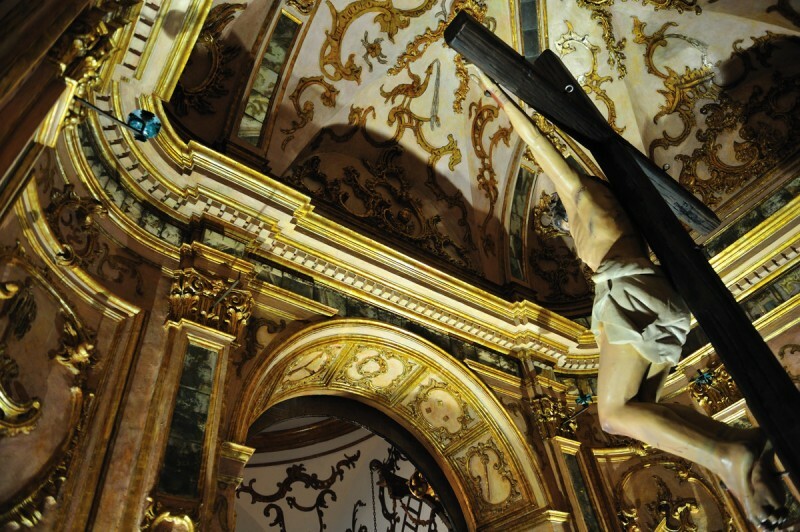 The main chapel of the Lorca Calvary is officially dated 1695, and three years later the figure of El Cristo de la Misericordia by sculptor Nicolás de Bussy was carried to the building on the shoulders of the Franciscans. 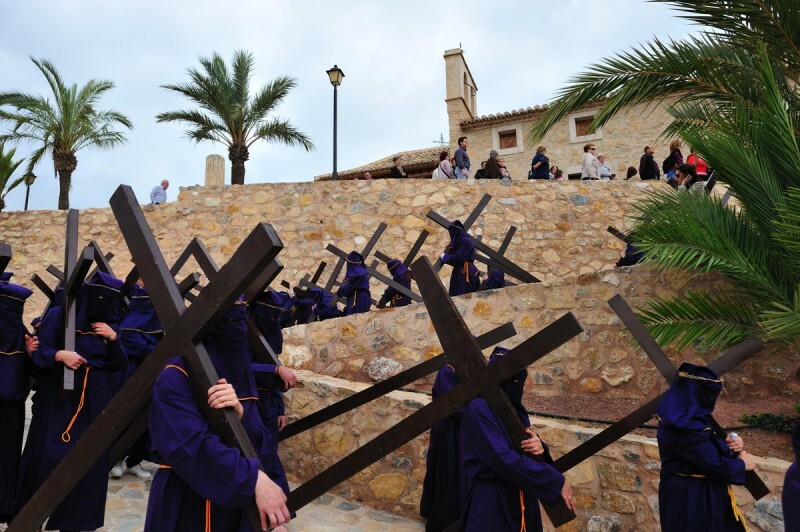 Originally the path was known as the Calle de las Cruces (the Way of the Crosses) after the monuments erected at the 14 Stations, and the later construction of chapels was due to the keenness of the local aristocracy to sponsor the event and boost their prestige. 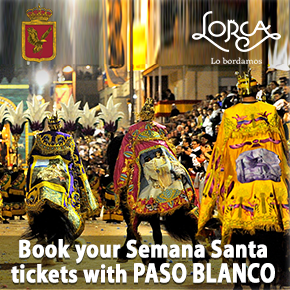 The doorway to the main chapel was built in 1710, and four years later Agustín López was placed in charge of installing the main altar screen, but not until 1769 to 1772 was the camarin shrine decorated with sculptures by Jerónimo Martínez and Jerónimo Uzeta. Decoration inside the chapel is highly symbolic and many of the decorative elements elude to the instruments of the Passion. The instruments of the Passion are often seen in Christian art and are a visual representation of the suffering of Christ. A pillar or column representing the column to which Jesus was tied and whipped. 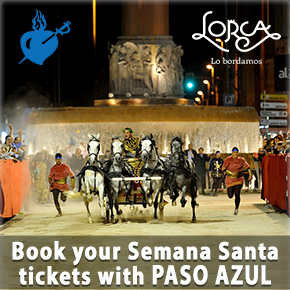 Several representations of these can be seen inside the chapel in various formats, although the image most frequently pointed out to visitors is that of a painted cockerel behind the niche where the Cristo de la Misericordia stands, calling to mind the denial of Saint Peter and reminding penitents that this is the end of the journey and that their sins need to be atoned for. Although the chapel has undergone several restorations during its life, by the early part of the 20th century it was in a sorry state and it was during this period that women from the city began to write suplications onto the wall of the chapel with pencils. Visitors closely inspecting the walls of the chapel will see faint lines of pencilled text bearing dates ranging from the 1920’s up to the 1970’s, although the majority date from before the Civil War, the messages simple lines of devotion or requests for intervention with health issues or family problems. 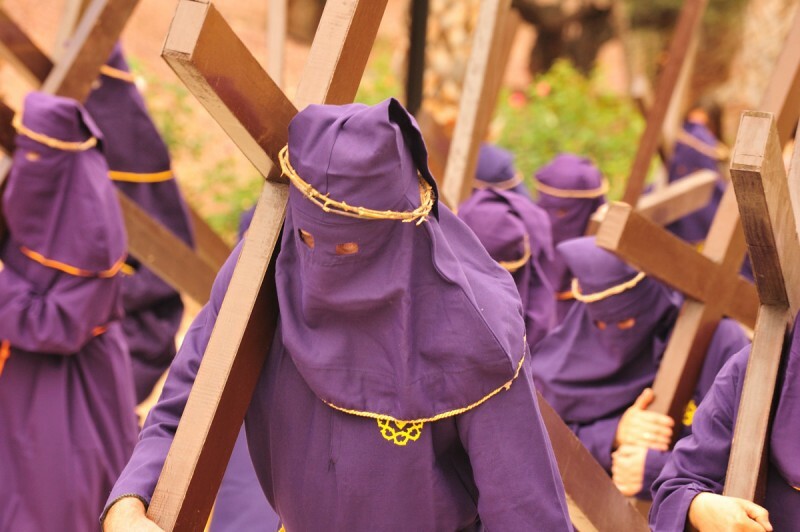 Today the Calvario is still part of the Vía Crucis which take place during Semana Santa (Easter week) and provide a spectacular backdrop for the acts of penitence in which purple-robed penitents accompany the image of the Virgen de los Dolores from the Iglesia de San Francisco up to the calvary, many bare-footed and carrying heavy wooden crosses.